Heating system installation is one of the high-quality heating services we offer our customers at Straight Line Heating and Cooling. Our service technicians have the training and expertise to provide a prompt installation, ensuring that your new heating system operates efficiently. Being trustworthy means that we keep our word with customers, suppliers, partners and fellow employees. It motivates us to do the right thing and go the extra mile. When you’re in the market for a new heating system, our heating consultants can help. We require our service technicians to achieve and maintain essential certifications. They’re encouraged to stay on top of new technologies and improve methods in order to provide the most efficient and effective solutions for our customers. As a Trane Comfort Specialist, we’re dedicated to making sure that the system we install is the right one for you and your family. If you’re building a home, you’ll need to install a furnace or other heating system as part of the indoor comfort technology you choose for your new home. We use the Wrightsoft HVAC Design software to design your heating system and make sure it will perform optimally. Our knowledgeable heating consultants are always available to explain your options and help you select the best technology for your new build. Whether you choose a furnace, heat pump, or other type of heating technology, our service technicians will provide the quality installation services that will help ensure your system’s proper operation. Our attention to detail improves the quality of our work and the delivery of our products and services. Making sure your heating installation gets done right is one of our top priorities at Straight Line Heating and Cooling. You and your family deserve only the best technicians, as well as value and comfort. Take advantage of our 5-year guarantee parts and labor warranty when you purchase a new system. In addition, you will also receive a 10-year manufacturer warranty. 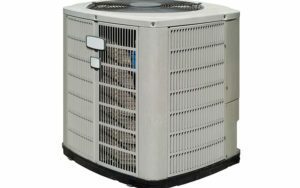 For a heating system installation you can depend on, call our office to schedule your service. We look forward to consulting with you about the system you’d like to install. We’re proud to serve Paso Robles, Atascadero, San Luis Obispo, CA and the surrounding areas.